Greetings Offworld CEOs! Work continues on Offworld, but we don’t have anything to show off just yet. 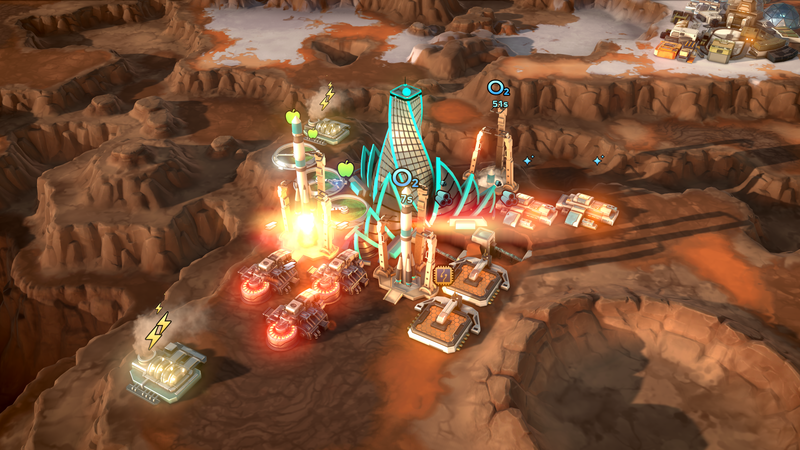 However, with the recent launch of SpaceX’s Falcon Heavy, this seemed a good time to touch on an idea that’s core to Offworld Trading Company: the privatization of space back here on Earth. It’d be pretty difficult to have an open, competitive market on Mars if we didn’t have companies there to do the competing. While we’re still a fair ways off from the Martian Markets we know and love, many steps have already been taken to get us closer to that goal. The road to privatization began well before you may think, at least in the USA. It was back in 1962 that the first was step was taken, with the Communications Satellite Act (as you may expect, this essentially started setting the rules for commercial satellite use). Even so, it was still two more decades - in 1984 - before companies could consider launching these satellites themselves. Since that time, private companies have slowly but surely come to play a vital role in space operations, with the red tape of regulation gradually being peeled away. This eventually culminated in the passage of the SPACE Act. This update to US law allows US citizens to "engage in the commercial exploration and exploitation of 'space resources. '” This may sound familiar to some of our space capitalists. Many companies are now looking to lead the charge in spaceflight. Some are seeking to establish tourism in space, allowing short trips to space if you have the cash to spare. Others want to begin mining the vast resources available elsewhere in the solar system. And perhaps the most ambitious groups are already looking to begin colonization of Mars, planning to permanently settle on the red planet within the next 20 years. We’ll take a closer look at these companies and their goals in the coming weeks. To bring things back Offworld, we’re looking to get a small patch out in the next few weeks with some minor bug fixes. This will clear the way for us to focus on a more substantial patch later this spring, bringing some long-awaited changes to OTC.